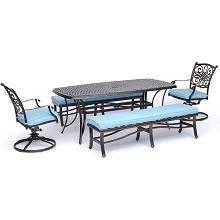 Transform your backyard into a serene dining space with the Lavallette Dining Collection. 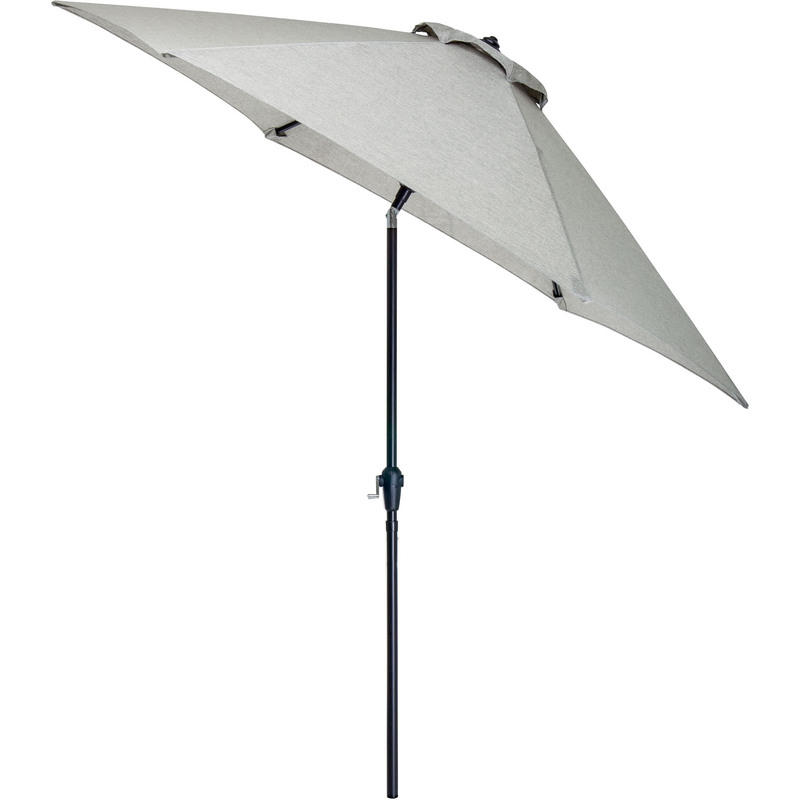 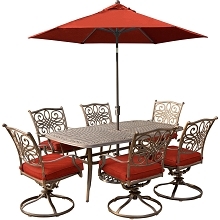 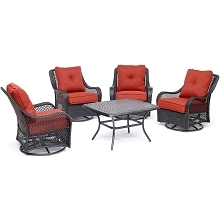 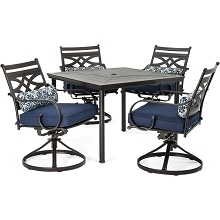 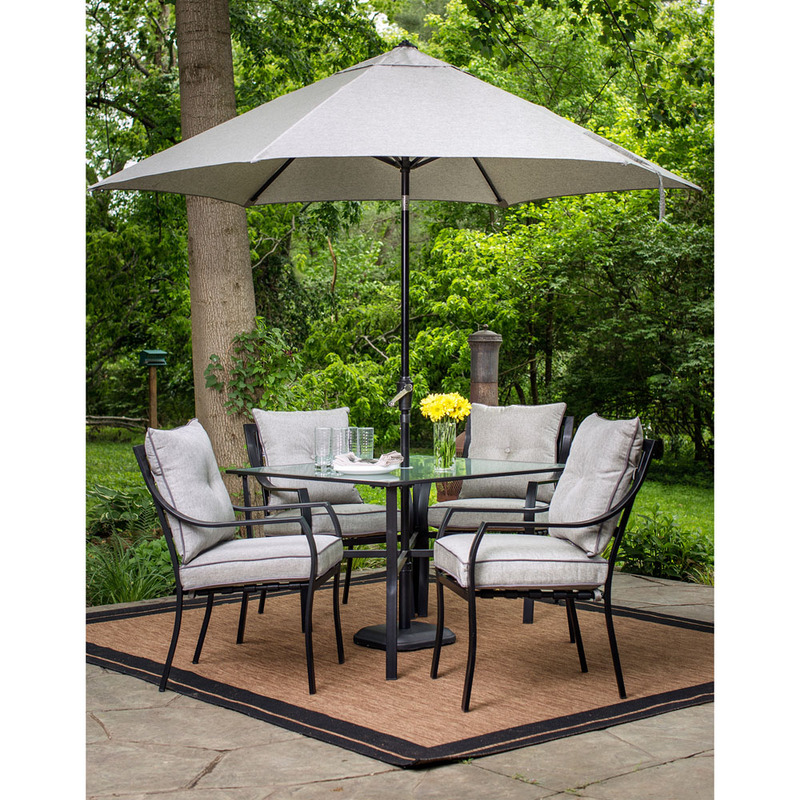 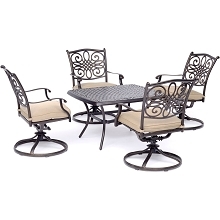 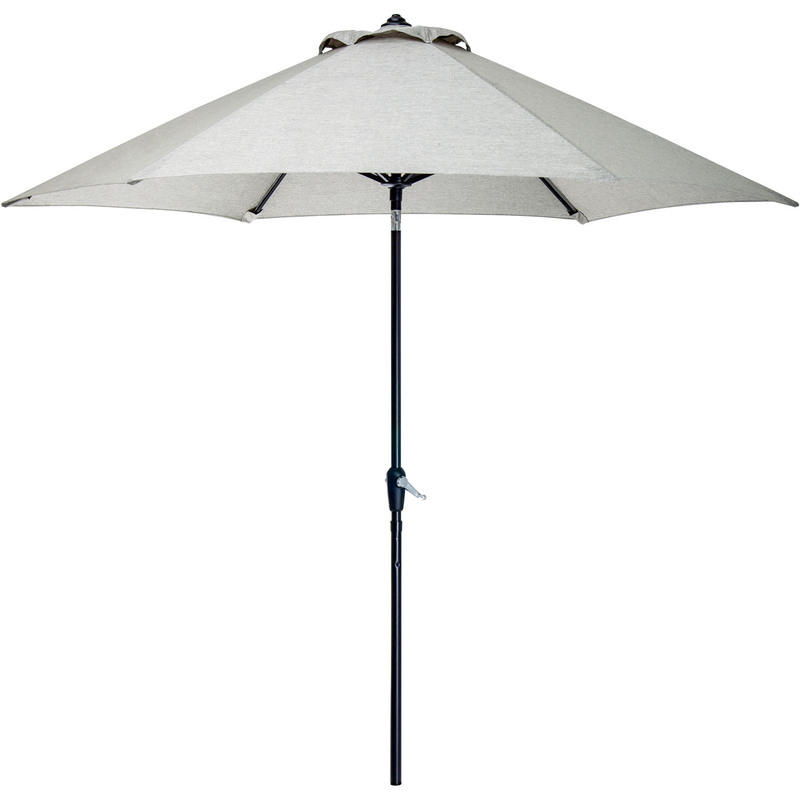 Perfect for small intimate environments, this patio set includes four slender dining chairs, four sets of back and seat cushions, a 42-inch square dining table, coordinating table umbrella and umbrella stand. 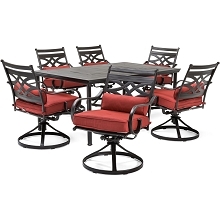 The slim frames are made out of heavy-duty steel and finished with a sleek black powder coating to increase its lifespan and durability. 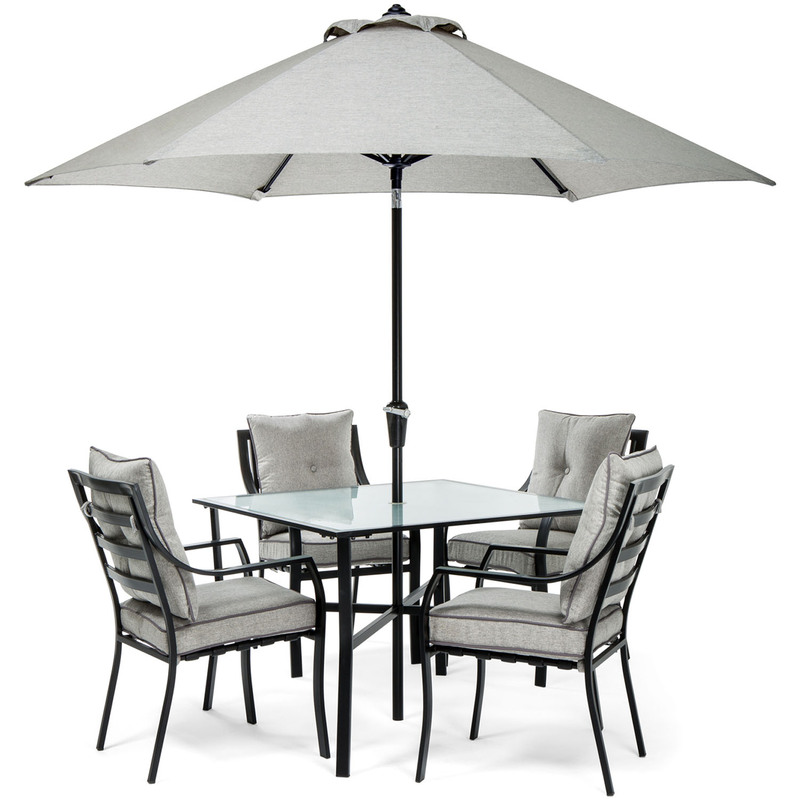 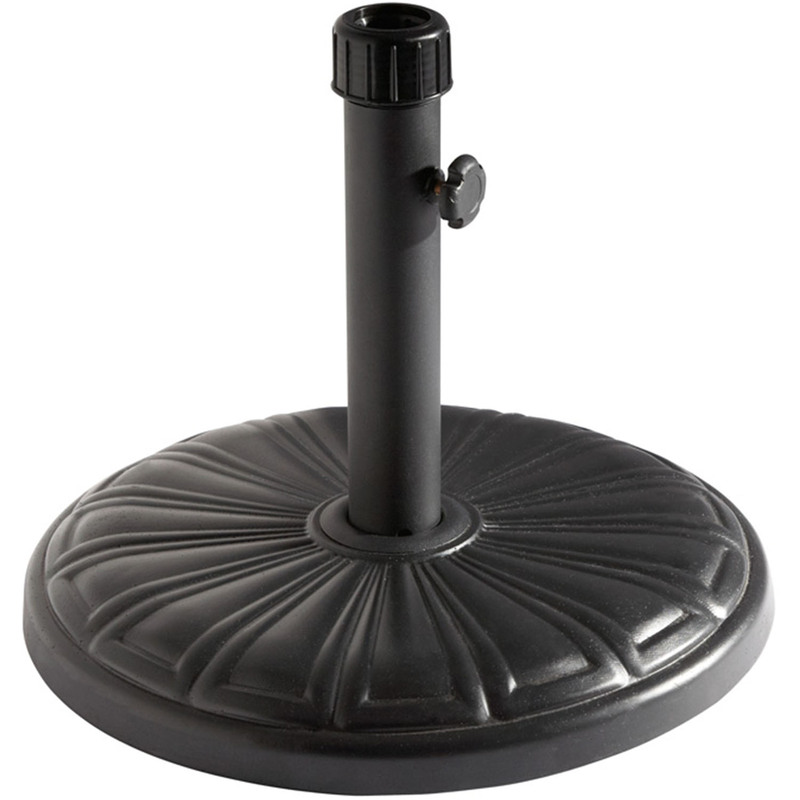 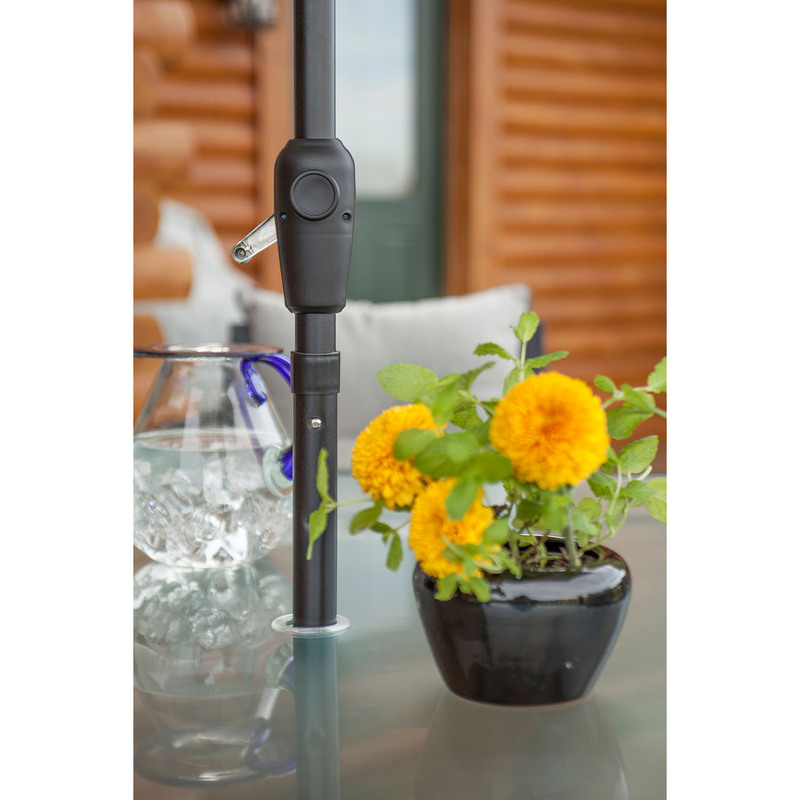 The table top contains a thick, tempered glass inset for maximum strength outdoors. 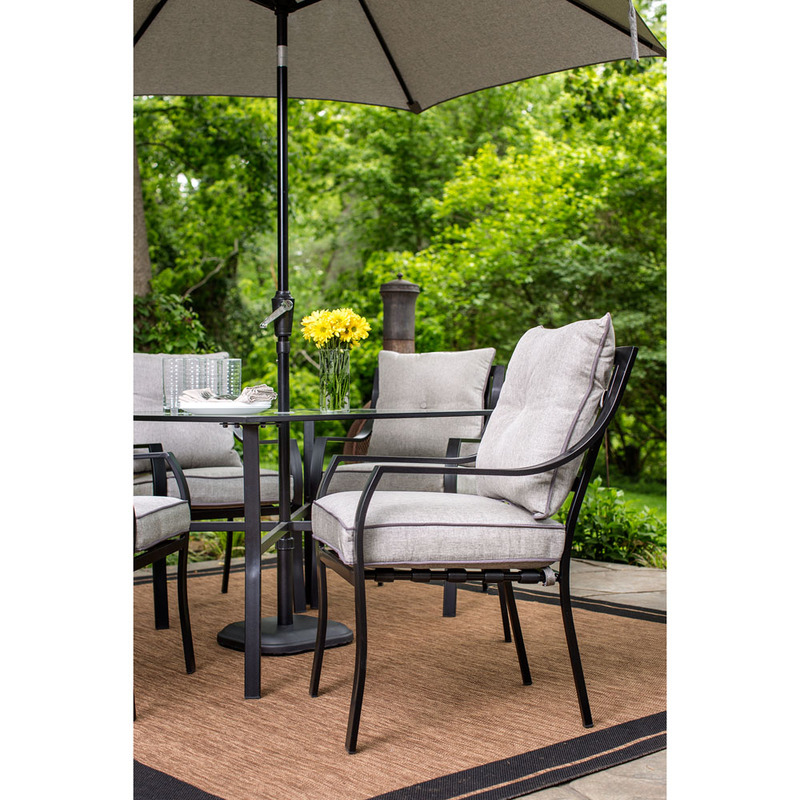 The soft gray fabric contrasts perfectly against the bold black frames and is sure to add a cool pop of color to any natural setting. 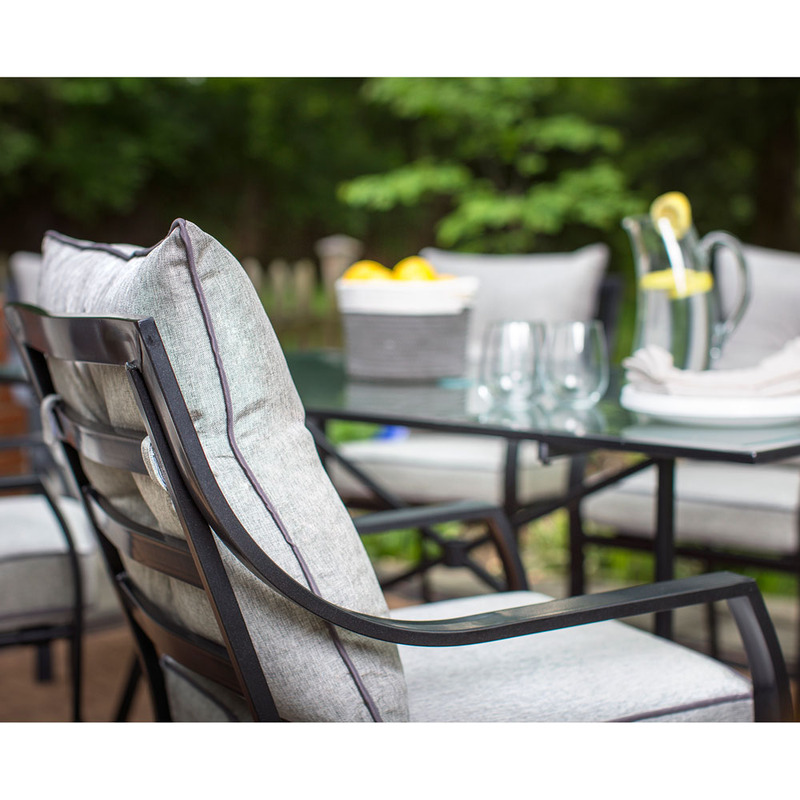 The thick foam cushions are wrapped in premium outdoor fabric that resists weather, stains, UV harm, and requires little to no maintenance throughout the year. 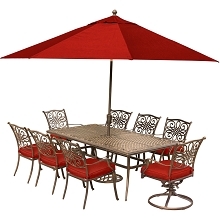 Simply sit back and let the plush back and seat cushions cradle you in comfort as you savor every moment dining with your family and friends.